Liberty Head Eagles Born in the Panic of 1893! 1893 was a rough year to be in railroads. Or banking. Or government. Or pretty much anything. Overexpansion, overproduction and bankruptcies, caused by multiple issues at home and abroad, resulted in a financial panic that sent shockwaves throughout the nation. Lasting for four grueling years, the resulting depression would be the worst the United States had seen to date, surpassed only by the Great Depression just a little more than 30 years later. 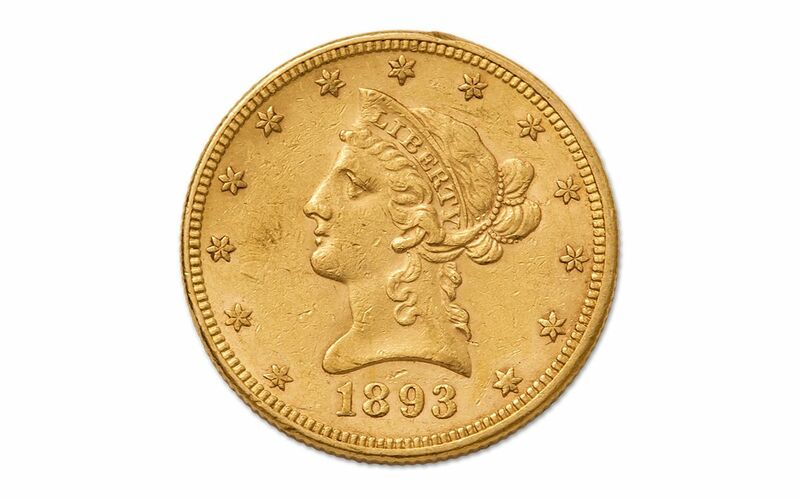 During that time, one of the only things you could count on was pure gold in your hand. And with the Panic of 1893's ensuing credit crunch, large companies depended on the Eagle to make their deals. 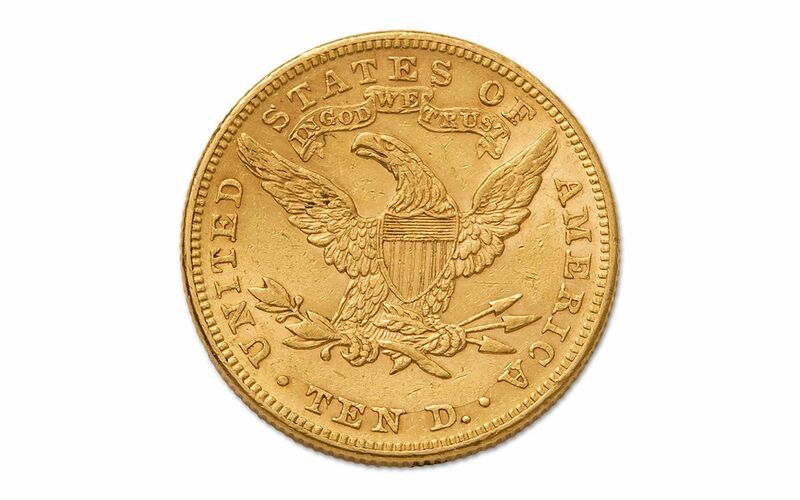 With nearly a half ounce of 90% pure gold, this 10 dollar legal-tender coin fueled countless purchases and deals before, during and after these panics, in good times and bad. As you can imagine, this kind of heavy commerce can wear a gold coin down. In fact, even though these Eagles were minted in decent quantities, their constant use combined with the gold recall of 1933 evaporated the vast majority of these coins. Pretty much the only ones that still exist today were those held overseas during much of the 20th century. 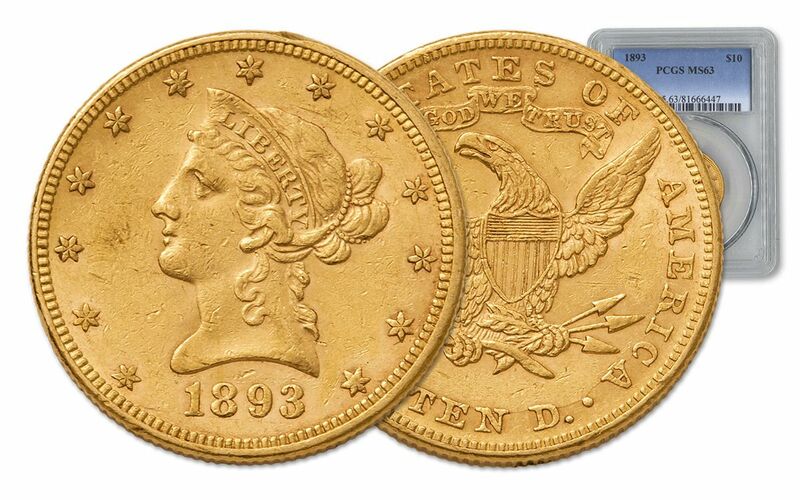 So, the fact that our buyers found a selection of these 1893 Liberty Head Eagles was reason enough to raise some eyebrows. But, add in that these Eagles are uncirculated, and you have something to get excited about! Each of these 1893 Liberty Head Eagles is graded Mint State-63 (MS63) by Professional Coin Grading Service (PCGS) and comes sonically-sealed in an acrylic holder to give you the best in protection while providing unobstructed views to every gorgeous detail. 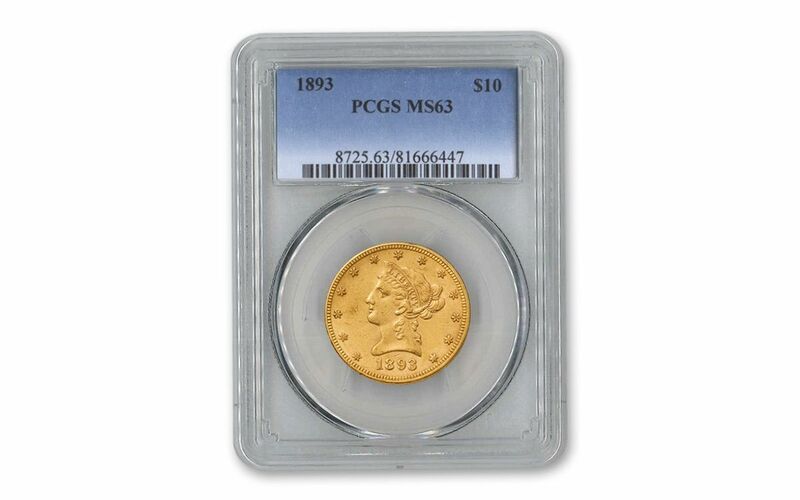 Well removed from their tumultuous birth, it's time for one of these 1893 Eagles to come home to your collection today!